“Thug Life” and others are looked down upon (Arty Farty) by some parts of society when in fact it can be just as rewarding. 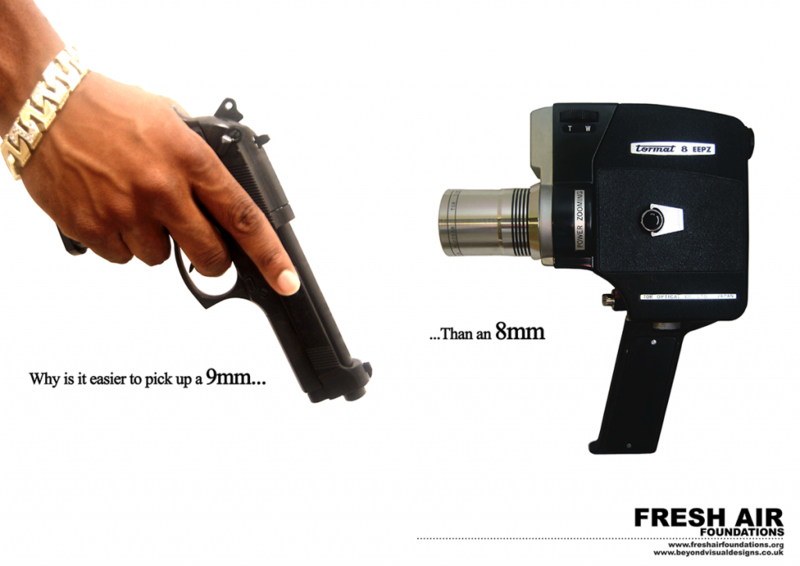 Due to the age of the camera used for the poster the person taking the session may have to explain what the 8mm is. Why do some black boys (and working class white boys) choose to pick up a gun and become a robber, dealer, killer, rather than enter the world of Media/The Arts and become a Filmmaker, Painter, or Poet? 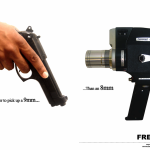 (Referring to poster 3) In your view which “Tool of the trade” is better/more glamorous? Why is (positive) storytelling important? (Oral history, tradition, connection/bonding, past, present and future?